This is the simplest yet most valuable procedure our expert dentists can provide to you. Scale and clean can prevent diseases such as gum disease and decays from developing and can also detect early oral cancers. Early diagnosis allows for the early treatment of a disease which then minimizes the damage caused to your teeth as well as preventing more expensive treatment costs associated with advanced disease. Why isn’t everyday brushing and rinsing enough for keeping good oral health in the long term? Let’s understand what accumulates on your teeth. Dental plaque is a soft, sticky and colourless deposit around your teeth, that can be felt by your tongue or scraped off with your fingernail and a toothbrush. It consists of a colony of bacteria, and their by-products, which when not efficiently cleaned, can build up on, around and between your teeth. When plaque is not being cleaned off your tenth, the bacteria inside produce acids from the sugars accumulated from the food you eat. From here, the bacteria will start attacking your teeth surfaces, irritating your gums to become gingivitis (gum inflammation), periodontitis (bone and gum loss) or tooth decays. 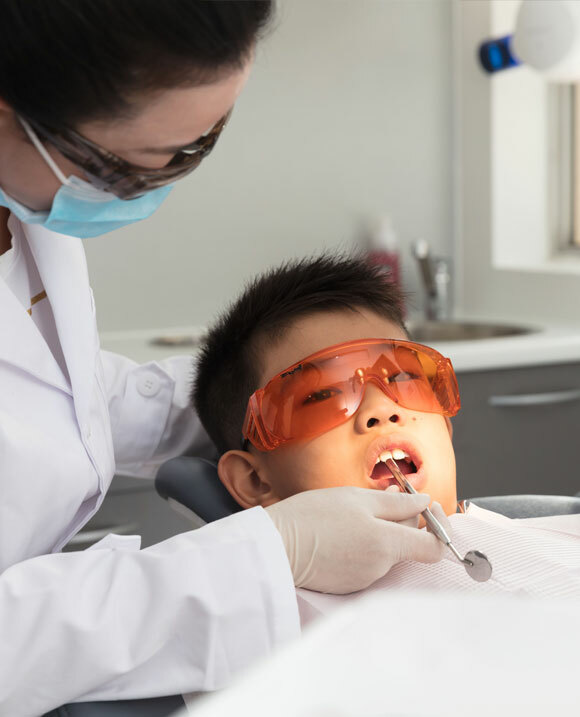 General good oral health and cleaning will decrease the amounts of plaque deposits, however having your dentist or hygienist perform a regular professional clean and polish will remove plaque deposits in the more difficulty accessed areas. Calculus or sometimes known as “tartar”, is a hard, calcified build up around your gum or below your gum. If a small amount of plaque is left on your teeth for a period of time, it will be calcified by the minerals from your saliva. It is a perfect environment for attracting more bacteria, causing the same issues as plaque. You cannot brush tartar away by every-day brushing and rinsing; it needs to be removed by your 360° a dentist or hygienist, during the scaling part of a scale and clean treatment. Staining is the brown and black coating on your teeth. It is developed by teeth contacting dark coloured food and drinks, such as coffee, red wines, soy sauce, tea and cigarette smoking. Although this is more of an aesthetic problem, this polishing process will allow your teeth to appear “whiter” by our dental professionals simply removing staining. What is involved in a scale and clean? Scaling/ scraping- is the removal of the hard-bacterial accumulation of tartar. Your 360° dentist will usually use an ultrasound scraper, to vibrate tartar off your teeth followed by a hand scraper to remove any stubborn bits of tartar. Polishing/cleaning- is the removal of soft bacterial accumulation plaque and staining. To do this we will use either a prophy cup or a prophy jet, to remove not only plaque and staining, but also any imperfections on your teeth, to leave a smooth and shiny finish, which is harder for bacteria to grow on.